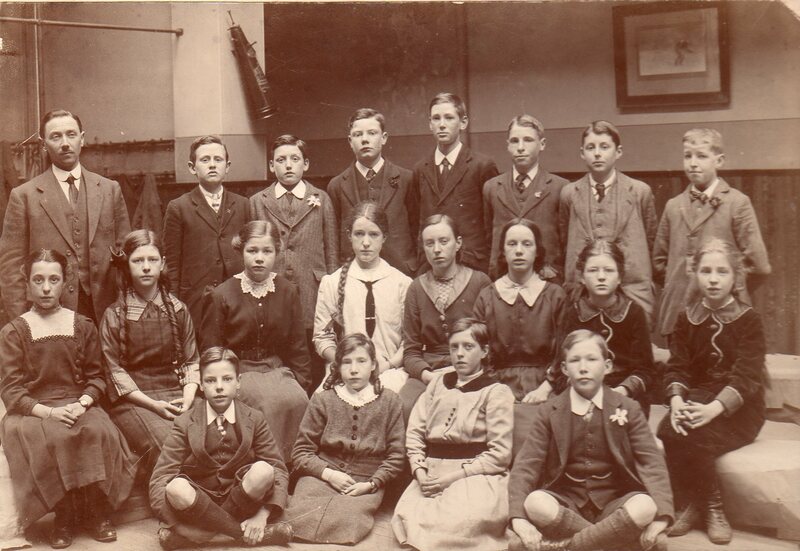 Middle Row: 13 ?, 14 Mrs Kerr, 15 ?Mr Stewart, 16 ?, 17 Mr Rae, 18 ?, 19 Mr Russell, 20 Mr Gunn, 21 Mr Murray, 22-24 ? Back Row: Campbell Sharp, Sam Sanderson, ? Roy, Gordon ?